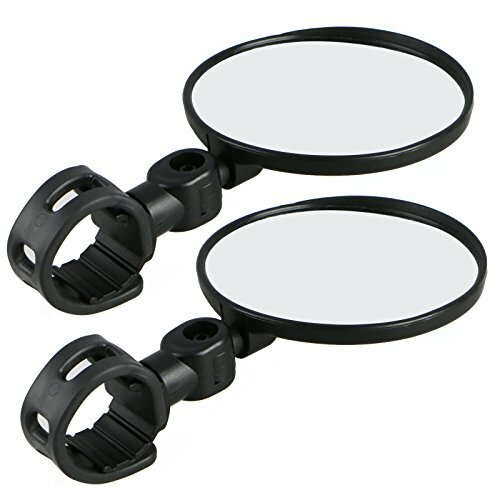 Kit Includes: 2 x Universal Mini Rotaty Rearview Handlebar Glass Mirror. Fast install and dismantle by a adjustable belt. Compatible with 25mm-55mm internal diameter of the bar. 360 rotation, compact, stylish appearance bike mirror, better adjust to any direction. Universal mini rotary rearview handlebar hlass mirror for bike bicycle cycling. Compatible with 25mm-55mm internal diameter of the bar. Mirror Dimension:2.95"(75 mm). Easily install and remove: mounting bracket is retractable silicon rubber belt, can be easily install even with no tools. If you have any questions about this product by EEEKit, contact us by completing and submitting the form below. If you are looking for a specif part number, please include it with your message.